A total of 12,600 households are expected to benefit from the early replacement of 280 lifts at Sembawang, Woodlands and Admiralty, reported Channel NewsAsia. To be made under the Sembawang Town Council’s Lift Replacement Programme (LRP), the lift upgrade’s $33 million cost will be taken from the town council’s Lift Replacement Fund. “Residents need not pay for the new lifts,” said the town council. 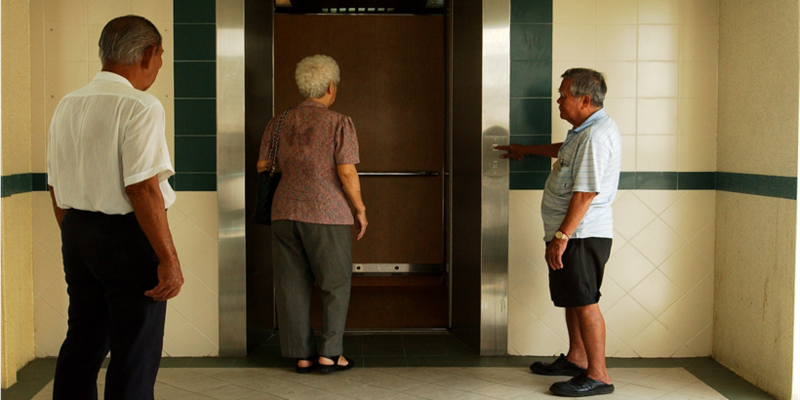 While lifts are usually replaced every 28 years, the lifts at 135 blocks within the three estates were chosen as they continued to have issues even after repair and maintenance works, said Member of Parliament for Sembawang GRC Amrin Amin. This comes as these lifts have been in operation for 21 to 24 years. “This is the most economical way because most of the lifts are above 20 years old. We think with the maintenance issues, we’d like to replace them so that it can be of benefit to residents,” said Amrin. Wheelchair-bound residents will find it easier to manoeuvre within the new lifts as they will be more spacious, able to accommodate 10 people. They will also be faster at 90 metres per minute and would adhere to the Building and Construction Authority’s latest safety guidelines on new lift installation. With the upgrading works starting last month at blocks 677 to 680 in Woodlands Avenue 6, the lift replacement within the three estates is expected to be completed by June 2020.